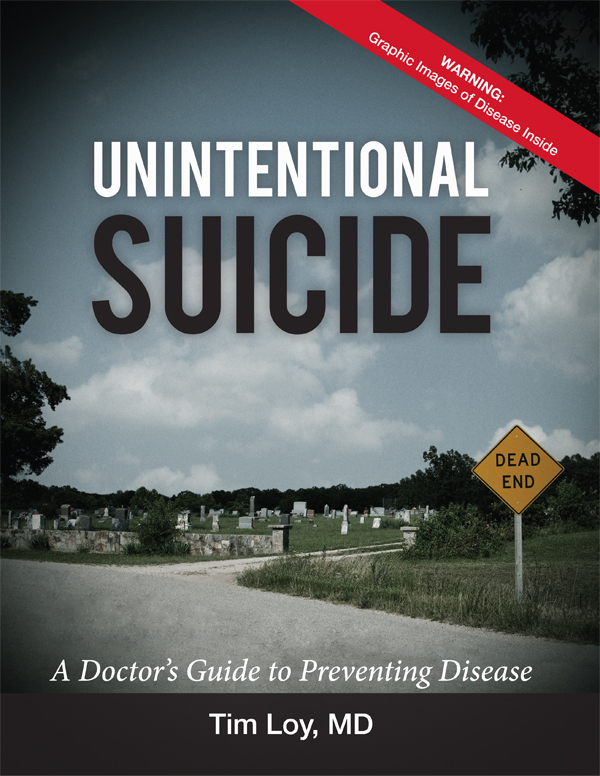 For additional information about this book, visit the website unintentionalsuicide.com. The book is written from the prospective of a pathologist with the mindset that if people could see what I have seen, they might be motivated to change. Graphic disease images are included to illustrate the devastation that could be avoided. This work opens by taking an in-depth look at these top killers—heart disease, stroke, cancer, COPD, diabetes, cirrhosis, and accidents—with information on causes, symptoms, who is most at risk, solutions for prevention, and statistics that will prove just how effective lifestyle choices can be in fighting back. Loy dedicates the remaining chapters to strategies—including exercise plans and practical diet solutions—that will help you live a healthier life starting now. This is a book about lifestyle and disease. The diseases which kill most people are discussed along with simple ways to help prevent them. Lifestyle choices are also discussed with associated health consequences. The information in this book could prevent millions of premature deaths and save billions of dollars.